A recent marketing survey highlighted that 74% of marketers see an uplift in their search campaigns when adding retargeting of ads into the mix. For many SME’s however, retargeting isn’t something they are either aware of or even considered when looking at their online marketing. In this brief overview we explain what retargeting it, the benefits to SME businesses as part of their marketing strategy and provide a few pointers on things to consider to help create re-targeting ad campaigns that work. Ad retargeting enables a business to selectively advertise online to people who have already visited their website with a message specifically tailored to the type of interest they have shown. It enables them to keep their brand top of mind long after the visitor has left the website as well as encourage them to re-visit, when they are more likely to make a purchase or enquiry. Research shows that re-targeting is fast becoming a popular element within the marketing mix, particularly across platforms, and giving similar results to email marketing when utilised as part of an overall marketing campaign. Using this data the business can create tailored display adverts and place them in front of the visitor on other websites, through mobile searches or via social media channels with the purpose of keeping the brand front of mind and re-engaging with them. Clicking on the Ad then takes the visitor back to the website for that all important second or subsequent visit. Why would you create a retargeting campaign? Extended brand awareness – with so much competition online if a visitor has shown an interest in your brand by visiting the website it is imperative you keep it front of mind after they leave. Driving sales – its proven that visitors will take several visits to your website before finally deciding to purchase. Retargeting helps to bring them back for that all important second or third visit and when used in conjunction with targeted landing page can significantly increase sales. Customer retention – the opportunities for upselling and multiple purchases plus the ability to offer tailored discounts or promotions via retargeting can help you retain those existing customers. Social engagement – by linking your retargeting across social platforms you are not only keeping your brand front of mind but can encourage them to engage with you on social platforms giving you the opportunity for future sales and brand advocacy. Multiple channel coverage – with average consumers browsing a wide range of websites, through multiple browsers and platforms on different devices each day, retargeting can help a business to deliver its marketing messages across these different channels. This is the most commonly used by most businesses and is when targeted display ads are shown on news sites, blogs and other websites that a visitor to your website uses after they have left your site. Google Adwords re-targeting is probably the most commonly known platform for this although there are others available. It can work particularly well for e-commerce sites, tech B2B businesses and travel companies but generally it can work for any business looking to increase overall online engagement and brand awareness. This is where you expand the reach of your retargeting across the social media platforms Facebook and Twitter. After visiting a website a visitor will then see targeted social media ads when they subsequently engage on either social platform. It not only reinforces your brand when they see it across these trusted platforms but can help to drive visitors back to the site or your social media channels to increase social media engagement. 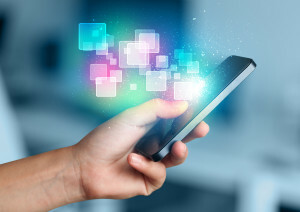 As with social media retargeting this expands the reach of your advertising across channels by displaying your brand to desktop visitors to a website when they use mobile devices later, whether through mobile search or social platforms. It can be very useful for mobile optimised websites or apps and in particular as a way of increasing app downloads when a desktop audience can be sent a series of ads to download a mobile app when using those devices to help them better engage. The following are just a few things to think about when planning a retargeting campaign to ensure that they become an effective part of the overall marketing mix. Invest time and money on creating engaging and compelling ads with customised creative and messaging. Create a few different versions so that you can mix them up, not only for split testing but to keep it fresh for the audience. As a general rule, simple ads with a bold design, concise but targeted message and a strong call to action work well. Over exposure to your Advertising is more likely to put a potential customer off than convert so make sure you set limits on how many times a day they see the ads. Also think about how long you want to target them after their initial site visit. This will depend on your buying lead times and what stage of the buying process they were at when they visited the site. Higher value products and services with longer lead times for conversion (particularly B2B) can withstand a longer campaign. Assessing the visitor behaviour can give great insights into the specific products and services they are interested in or the stage of the buying process they are at (their search intent) so that you can deliver advertising that targets more effectively. 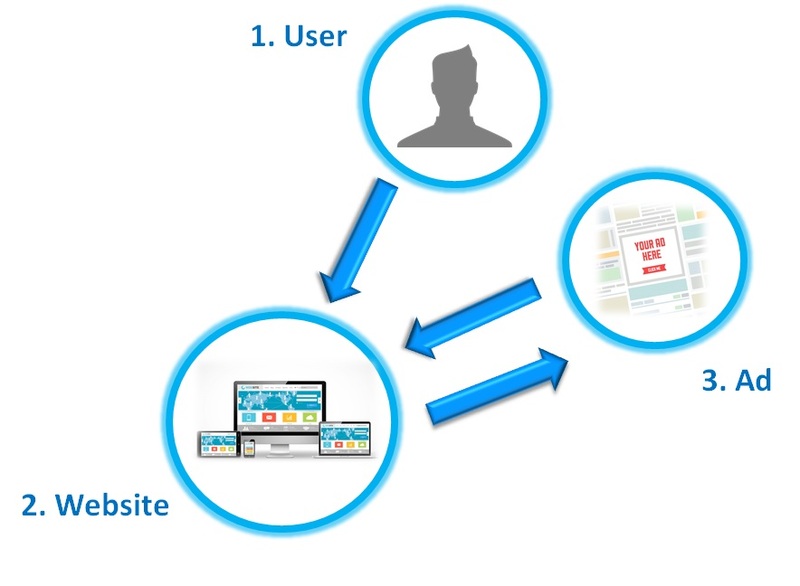 A visitor hitting the site for the first time is likely to be in the early Awareness stage of the buying process so the advertising needs to reinforce general brand awareness, whereas a visitor who has added products to a basket is much closer to purchase and needs to have messaging that helps to make the final decision, whether an incentive to buy now or case study / testimonial to give the final credibility for the brand. 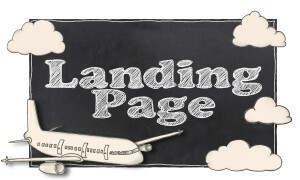 Creating a targeted and focused Ad landing page can significantly increase your conversion rate. By aligning the messaging of the ad to the landing page and ensuring it is equally targeted, will give you a strong potential to seal the deal. Landing pages are particularly useful when using behavioural targeting or where your website is in need of work on funnelling and visitor journey – don’t simply bring them back to a page that didn’t convert before. Using landing pages with any campaign also enables the use of discounts and incentives to finalise the sale and enables very specific measurement of success so should always be considered. If you want to find out more about ad retargeting or are looking for a web marketing partner to help you integrate it into your overall marketing mix, give the team a call on 01793 766040. By ticking this box you confirm that you are happy to receive email communication from our team. By signing up to the newsletter you confirm that you are happy to receive communications from All Things Web®. We do not share our data with third party providers.